Watersplash! Forty-five years on it remains one of the most iconic words in the history of rugby league and is a perfect description of one of its most infamous games. The ‘Watersplash’ Challenge Cup final of 1968 - when Leeds met Wakefield Trinity in monsoon conditions - has since become the stuff of legend. 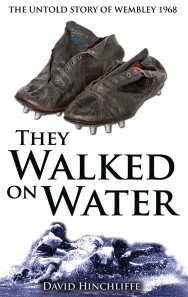 A deluge of epic rain, a controversial penalty try and ‘that’ last-minute missed goal by Lance Todd Trophy winner Don Fox - whose boots are immortalised on the cover - it contained all of that and more. With a wealth of new material, former MP David Hinchliffe canvasses the opinions of many who were there - including the players - and uncovers the agony, ecstasy and tragedy of Wembley 1968.